*2: Requires KENWOOD OTAP Management software. NXDN™ is a registered trademark of JVCKENWOOD Corporation and Icom Inc.
LTR® is a registered trademark of E.F. Johnson Company. AMBE+2™ is a trademark of Digital Voice Systems Inc.
Bluetooth® is a registered trademark of Bluetooth SIG,Inc. SD and microSD are trademarks of SD-3C, LLC in the United States, and/or other countries. 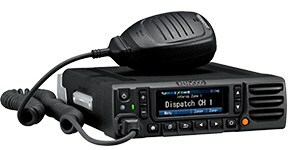 Kenwood’s 360-Series mobile radios offer our customers a total package of price, performance and features in an exciting new compact mobile platform. 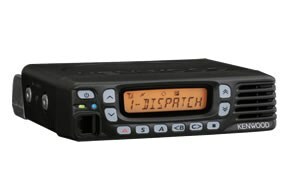 These Kenwood models are engineered for UHF or VHF conventional operation. With sleek styling, refined operator controls, scores of features, and Kenwood’s signature audio all at a remarkable price, 360 Series mobiles are the perfect combination of quality, style, sound and value. For a complete list of product features and specifications, please download the product brochure. - Dimensions (W x H x D): 6.3 x 1.7 x 5.4 in. - Weight (net) - Radio Only: 2.6 lbs.